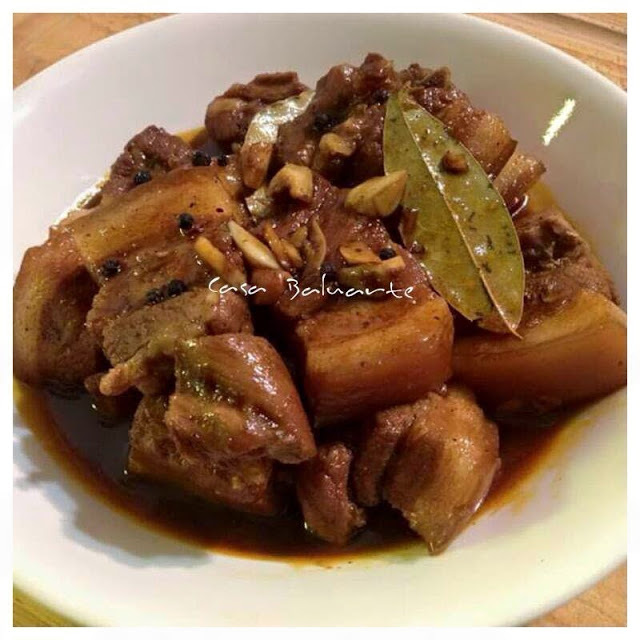 Pork Humba is a Filipino dish similar to Pork Adobo but sweeter and popular in central part of the Philippines. 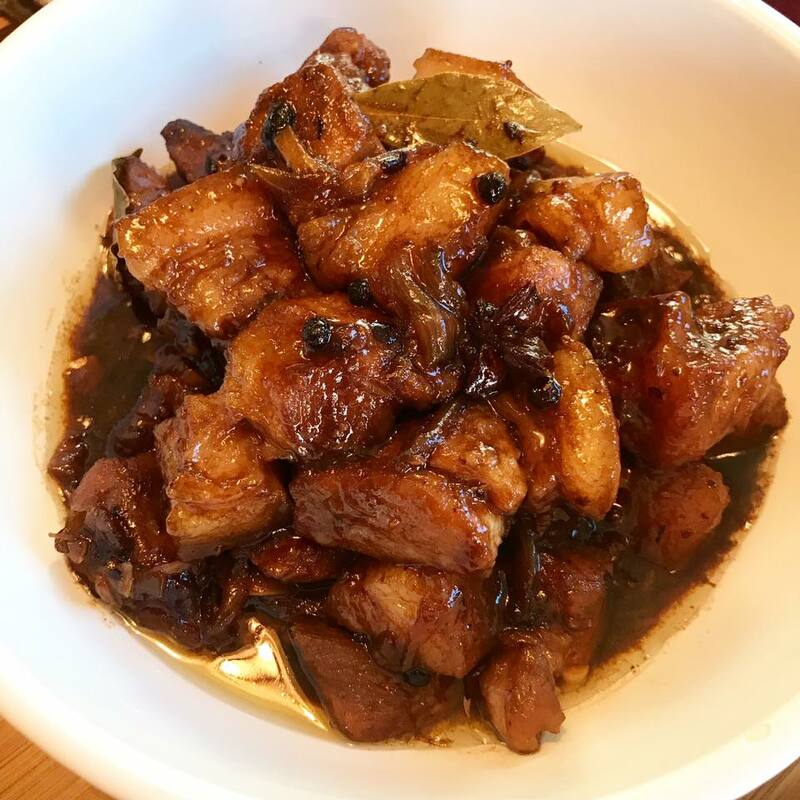 Pork Humba is a stewed dish that uses all the basic ingredients of Pork Adobo with the addition of tausi (salted black beans), sugar and banana blossoms. 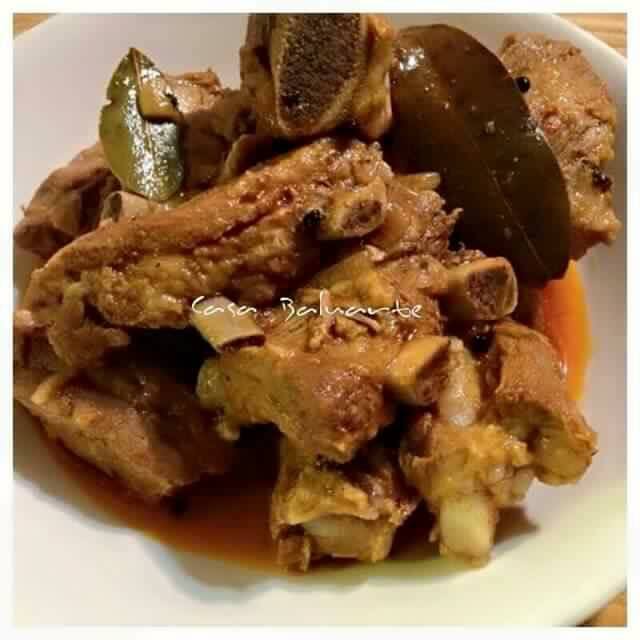 Pork Humba is very easy to prepare but calls for slow cooking until dry and rendered on its own fat. 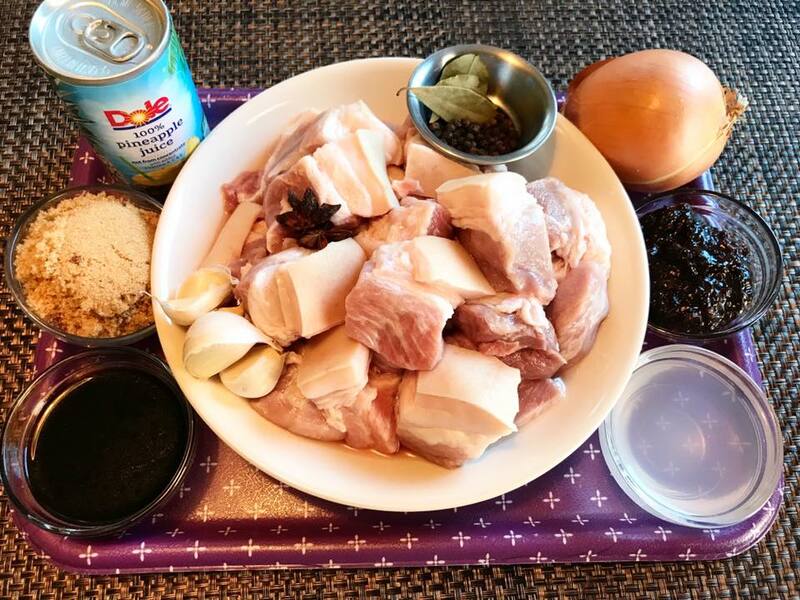 Some do marinate the pork with soy sauce, vinegar and pepper for at least an hour before cooking but I would normally skip that part as I make sure I take my time slow cooking the meat until sauce thickens. 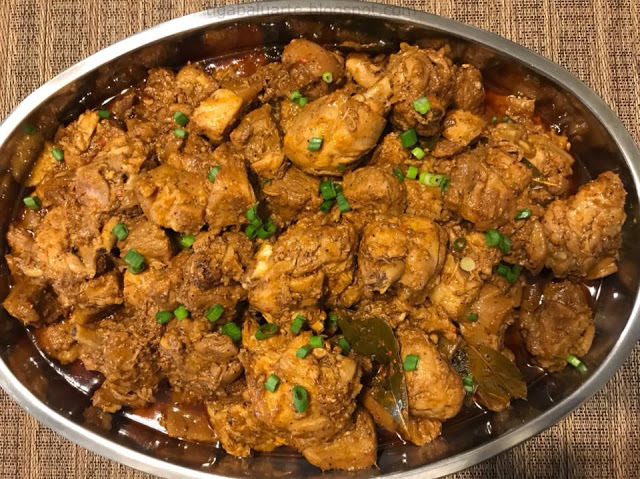 This Pork Humba recipe is great for lunch, dinner and special occasion such a parties, town fiestas and even holidays. 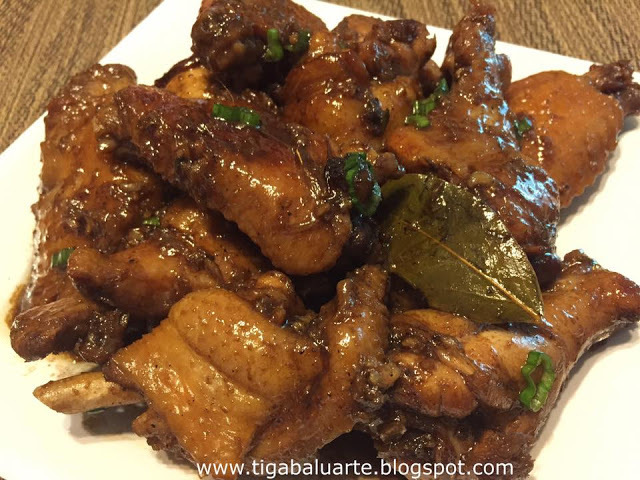 Give this Pork Humba recipe a try and share. Don't forget to check related post below by clicking on the name link below the picture to see complete recipes. 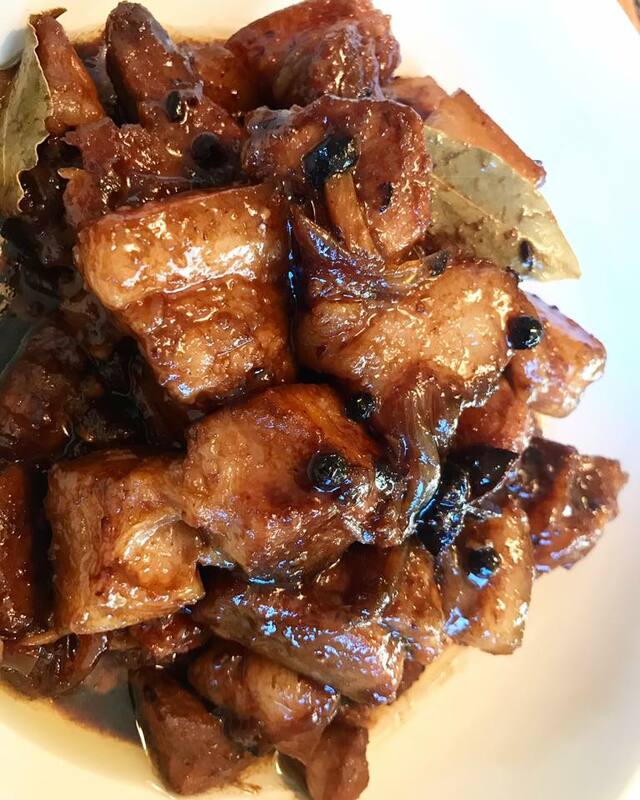 Using a wok, add slices of pork and 1/2 cup of water. Let it cook while stirring every few minutes until the oil is extracted from the pork. Push the pork on the side of the wok and add garlic and onion. Stir and cook for few minutes or until caramelized and aromatic. Stir to combine the pork with onion and garlic. Cook for another minute. Add star anise, bay leaves, peppercorns, 1/2 cup water, vinegar and soy sauce. Continue cooking for 5 minutes. Add pineapple juice, tausi, brown sugar, banana blossoms (if using) and stir. Reduce heat to low and simmer for about 30 minutes while stirring every 5 minutes. Remove scum if needed. Remove wok from heat, discard some of the oil if needed and transfer in a serving plate. Serve hot over steam rice and enjoy!